Photo Cutline: Coastal Bend College invites new and prospective students to sign up for Cougar Days orientation. The orientations will be held at all CBC locations, and students can register for free at www.coastalbend.edu/cougardays. All attendees will receive a free lunch and a t-shirt. 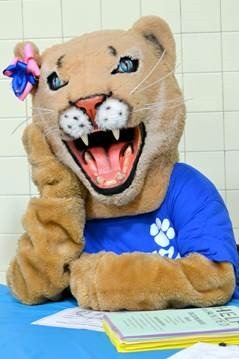 New and prospective Coastal Bend College students are invited to attend the 2013 Cougar Days orientation at any of our CBC locations—Beeville, Alice, Kingsville or Pleasanton. Students are free to attend whichever Cougar Days location is most convenient regardless of where the student will attend classes in the fall. The Cougar Days orientation offers helpful information about courses, programs, and services available to students at each CBC site. Cougar Days also allows students to meet advisors, faculty, and other CBC staff that are there to help them succeed. After attending Cougar Days, a student will leave with the tools, knowledge, and support they need in order to have a successful school year. Parents are encouraged to attend Cougar Days to be able to talk with faculty, financial aid advisors, student development specialists, and business office staff to ensure that their student is prepared for college. Registration for Cougar Days 2013 is available online at www.coastalbend.edu/cougardays and is completely free to all attendees. Students are allowed to bring a guest, and a free lunch will be provided. Students who register for Cougar Days online will also receive a free Cougar Days t-shirt sponsored by the CBC Alumni & Friends Association. 6. TDCJ ID, if you are employed at the McConnell or Garza units and reside in Bee County.